More Mustangs Than McDonalds has Burgers? The fact is, I have no idea how many burgers McDonalds has sold and frankly don’t care. Mention 10 million mustangs and my subconscious is anxious for sleep and dreams of driving each and every one of them. Ford is celebrating the production of the 10 millionth Mustang which in numbers alone demonstrates that it has been America’s best selling sports car over the last 50 years. For many of us the love of this iconic muscle car began in our childhood with generation after generation remaining Mustang fans. As the 10 millionth rolls off the production line today many will recall fond memories of its introduction in 1964 and the many variations as it evolved over decades. DEARBORN, Mich., Aug. 8, 2018 – Ford is celebrating the production of its 10-millionth Mustang – America’s best-selling sports car over the last 50 years. The 10-millionth Ford Mustang is a Wimbledon White GT V8 model convertible built at Ford’s Flat Rock Assembly Plant in Michigan. 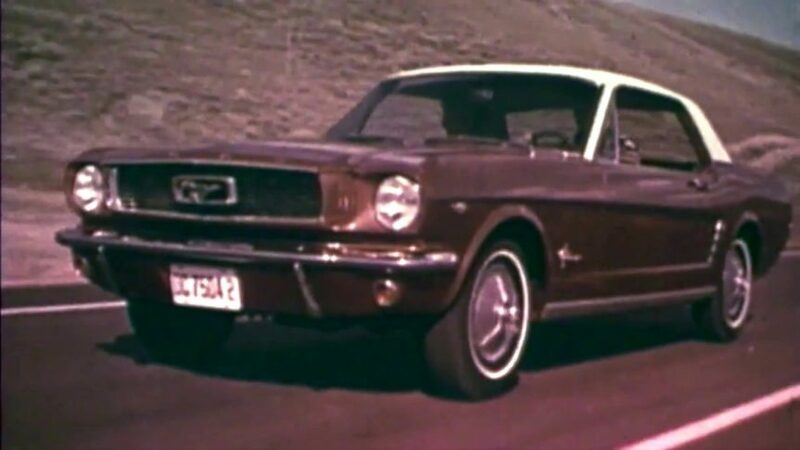 The first Mustang produced in 1964 was the same color and model. Ford is celebrating the day with employee celebrations at its Dearborn headquarters and its Flat Rock Assembly Plant, flyovers from three WWII-era P-51 Mustang fighter planes and a parade of Mustangs throughout the ages driving from Dearborn to Flat Rock, where the Mustang is currently manufactured. Other plants that produced the Mustang included San Jose, CA, Metuchen (Edison Assembly), N.J. and the original Mustang production facility in Dearborn, Mich.
Based on Ford analysis of 1966-2018 total U.S. new vehicle cumulative registrations for all sports car segments supplied by IHS Markit, Mustang is America’s best-selling sports car over the last 50 years (IHS Markit registration data only goes back to 1966). This includes Mustang and Mustang II. The best-selling sports car gets new technology and special editions for 2019. The iconic Mustang BULLITT returns with an exclusive 480-horsepower 5.0-liter V8 engine, plus distinctive design and trim. Classic California Special returns with design and trim enhancements. Rev-matching downshifts come to the 6-speed Mustang GT, while EcoBoost® gets an optional quad-tip fully active exhaust. All-new custom-tuned 1,000-watt B&O PLAY high-performance sound system and available Apple CarPlay™compatibility for Ford+Alexa and Waze via SYNC® 3 will satisfy audiophiles. The Ford Mustang, now in its sixth generation, is one of the most iconic cars ever produced. In addition to its sales leadership, the Mustang page has more likes on Facebook than any other vehicle nameplate.